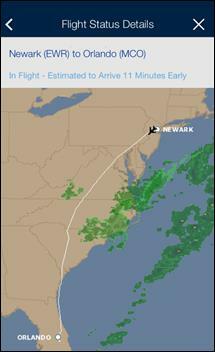 Last week, I, like millions of other travelers before me, needed to travel from Newark to Orlando. I was attending and speaking at a collaboration industry conference, and then taking some personal time before heading back home. The trip would be smooth of course, because I opted in to the “Trusted Traveler” program offered by the Customs and Border Patrol department of the US Government. What that means is I paid for and consented to an invasive background check in exchange for expedited screening at airports. If I fly internationally I can skip the line and use a kiosk to return to the USA. That service is called Global Entry. And, as a Global Entry member, I’m entitled to use the TSA Pre-Check service when flying domestically. Every time and everywhere I use the Global Entry service, the experience is the same – as it should be. I skip the long line, use a kiosk, bring the printed receipt to an agent (who has the discretion to request further screening of course) and then I’m on my way. Every time I use TSA pre-check however, it is a total crap-shoot. 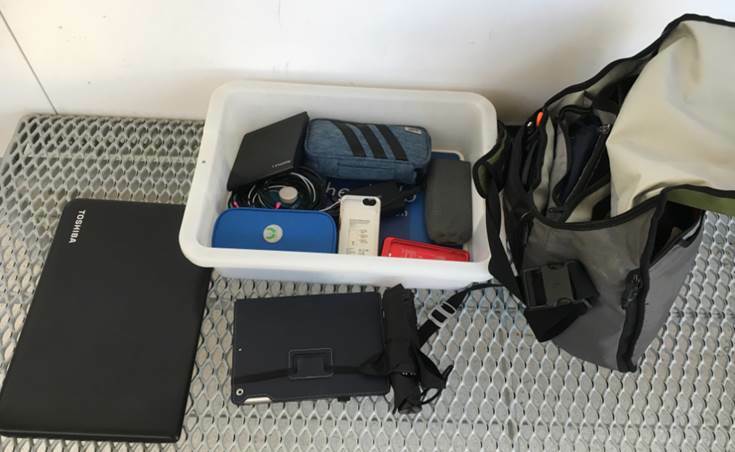 On this particular trip I traveled with my usual two bags – a roll-aboard with my clothes and toiletries, and a shoulder-bag with my computer, chargers, spare batteries and business items. These bags are essentially identical every time I travel. They are packed full, so if I don’t put all my things in in an organized manner they won’t fit. Coming home from Orlando, my two bags went through the Pre-Check X-Ray machine with no issues. I picked-them-up from the other side of the conveyer belt and went on my way. In Newark, when I was heading out, the experience was completely different. The TSA agent operating the scanner there pulled my shoulder-bag for additional screening. I knew that was going to represent a hassle and a delay, but in the name of security I of course want to cooperate with the agents. They have a tough enough job as is without unruly travelers giving them a hard time. The agent who carried over my bag – to my shock – then proceeded to unpack it completely. I have had this bag pulled occasionally for additional screenings. Sometimes my notebook is removed and re-scanned separately. Sometimes they use a piece of cloth to wipe down the contents and I assume check for traces of chemicals a normal traveler shouldn’t have. In Dallas a few weeks ago, the additional screening consisted entirely of me handing them my mobile phone to be wiped-down and inspected. I appreciate the random nature of the screenings and how that helps the TSA keep us safe. But completely unpacking the bag of someone who has to catch a flight – specifically when it is a bag that sails-through security check-points at other airports – makes no sense to me. If I wasn’t a Trusted-Traveler and/or Pre-Check member then maybe OK….maybe there might be a hidden knife packed inside my computer charger kit. However, when it is a charging kit that travels through the airport a few times a month – for a traveler that paid for and opted into a program that thoroughly and invasively checks my background in advance – it makes no sense. All that was in that kit are a power-supply, wires and a wireless mouse – which is all that is always in there. What in the world could this complete unpacking be except an unnecessary hassle? The TSA’s overall approach can’t be justified using logic. If my bag is packed so densely with technology that it needs to be unpacked and inspected, why isn’t it unpacked and inspected each time? Is the check-point that is ripping my things out being intentionally mean, or are the checkpoints that let my bag pass without any hassle being negligent? As I see it, it has to be one or the other – they both can’t be operating within a set of standard guidelines. Furthermore, as I’ve paid for the Trusted Traveler / Pre-Check expedited screening service and it wasn’t provided, where do I go to get a pro-rated refund when that service is not delivered? This clearly isn’t the first time the TSA has shown that they are not doing a good job. I’ve written about their constant failures in earlier blogs. As I said back then, it’s time to admit that this system is just broken beyond repair. We need to scrap the TSA and implement real, consistent, logical security at our nation’s airports. The inconsistent experiences – whether they represent too overzealous security in some places or too lax security in others – need to be replaced before we have another national disaster to recon with.